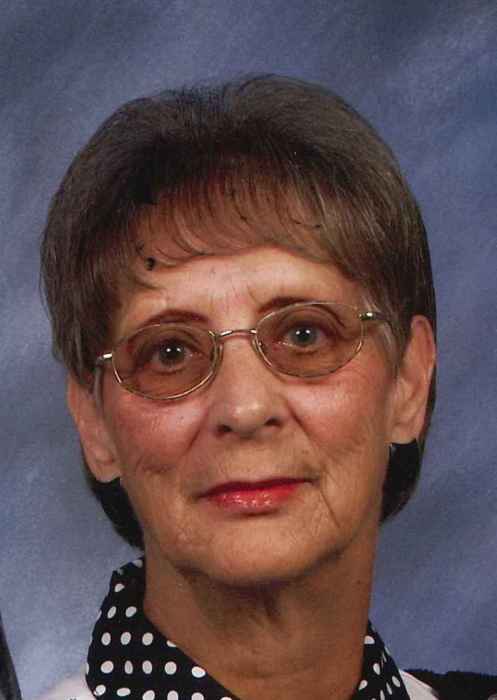 Diann Judy Hanson, 76 of Chetek passed away Tuesday, January 8, 2019 at Atrium Post Acute Care of Chetek. She was born November 24, 1942 in Barron County, the daughter of Theresa (Hanson) and Arthur Johnson. “Judy” as she was known to almost everyone, graduated from Chetek High School in May 1961. She then married the love of her life Duane Hanson August 19, 1961 at New Scandinavia Church in Maple Grove Township, Wisconsin. Judy worked as a teacher’s aide at Roselawn Elementary for 36 years before retiring in 2007. She enjoyed bowling, camping, playing cards, dancing, watching the grandchildren in their sporting events and mostly spending time with family and friends. Judy is survived by her husband of 57 years, Duane, two children, Shari (Rodney) Bowers of Chetek, Shelli Hanson of Ladysmith, three grandchildren; Kirsten (Kevin VanCamp) Bowers of Neenah, Joshua Bowers of Chetek, Reece (Amber Welsh) Vergin of Cheyenne, WY, siblings, Dona Neby, Carolyn Cizek, Leona Puppe, Robert (Deloris) Johnson, Betty (Rick) Rockow, brother-in-law, Gordon (Jona) Hanson and many other nieces, nephews and friends. She is preceded in death by her parents, and two sisters, Arlene Skjerly and Mildred Christenson. A memorial service will be at 1:00 P.M. Saturday, January 12, 2019 at Chetek Lutheran Church with Pastor Guy Redfield officiating. Family and friends may gather from 11:00 A.M. until the time of the service. Please join the family in the church basement for refreshments and continued fellowship following the service. Judy will be laid to rest at 11:00 A.M. Wednesday, January 16, at Northern Wisconsin Veterans Memorial Cemetery in Spooner, Wisconsin.